Inverted Image can create the inverted reflection in water effect with your photos, as well as the wave effect. Breathtaking results. It supports general image file formats. . .
Color quantization software allowing you to apply the posterization image Effect to your Photos. Photo to Movie goes beyond the static slide show by turning digital photos into customized movies that can be distributed via DVD, the Internet or email. Movies created are unmatched in quality. Random generation of photographic effects in a slideshow. Allows capturing the images produced at native resolution and using the same effect in any other images with fine-tuning controls. The Softener Photoshop plugin gives photos a soft, dreamy and glossy effect. Softener creates the soft focus effect used in romantic portraits, wedding photos and magazine covers. It makes skin smoother and softens the harsh edges in digital photos. An indispensable tool for removing the red-eye effect from digital photos and the eye color correction. 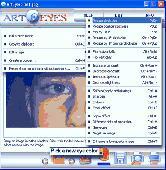 With ARTEyes you can, for example, change the personâ€™s eye color so that it will match his or her clothes color. Decorate a photo to give it an original and festive look. 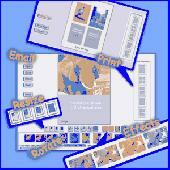 Create a postcard for your friends, make a holiday album, a personalized desktop wallpaper. 17 groups of versatile effects, built-in library. You can create endless number of effect versions! Compact audio editor for professionals, music lovers and home users to create, edit and add effects to audio. 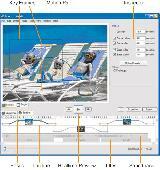 Editing functions: Cut, Copy, Paste, Adjust Volume, Insert File/Silence etc. Effects like Eq, Echo and Modulate. 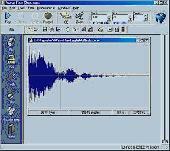 It is an Mp3 editor. Red Eye Remover Pro is unique professional software based on advanced science-intensive technology that makes batch redeye removal as fast and precise as never before. The program automatically detects and instantly fixes red eyes in your photos. Wave Flow is a powerful shareware audio editor with more than 60 sound edition functions and interesting effects (edition, tools, filters, etc). It has a visual interface that makes it very easy to use.